Ordinarily I will go for the jugular on stuff like this and call out tons of stuff about performances, cinematography, editing, and on-and-on. It's totally irrelevant, however, considering the material and the Wachowsis have unlimited resources to deliver the goods, so it's level in that regard. This is not Zero Dark Thirty. Not every thing needs to be. Sometimes things are just fun for the sake of fun. 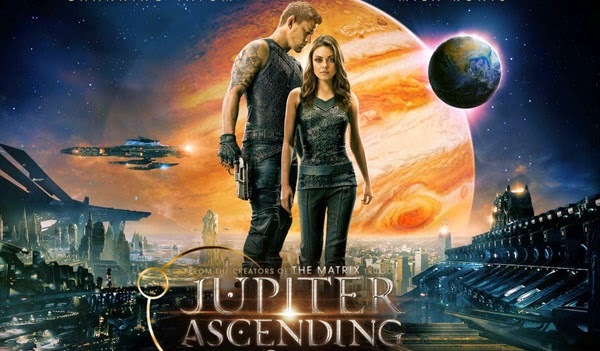 I care for Tatum less than Ron Silver as a actor and I find him completely watchable in this. This is literally Cinderella meets Dune; with just about every other sci-fi trope thrown into the blender for good measure. The only thing missing (which I really hoped for) was the cliff-hanger ending so common with serials of the ‘30s. Here’s a spoiler for you, Pygar gets his wings back and if you don’t know what that references you will likely not “get” this movie either. If you are going into this expecting a tromp as cerebral as The Matrix’s reality-within-reality, you’re missing the point. I think that the host of poor reviews for this completely missed the point, as well. The Matrix was a derivative of the Cyberpunk genre fuled by injections of William Gibson. The Wachowskis already did that, this is something else entirely. This is the galaxy-spanning-empires-of-evil-corporations-threating-to-doom-the-earth with a bit of Flash Gordon thrown in for good measure. This is their take on complete space opera. Jupter Jones is our modern Flash character that is just as two dimensional as our action heroine needs to be at this point. Hell, her name even screams pulp sci-fi! Save her dark brooding reflections of the implication of galaxy-wide genocide for the sequel. A pacing deterrent like character development would only slow down the action and keep us from whizzing from planet to planet to see more interesting things and meet more fascinating characters. Like with all great pulp sci-fi, there is never time to linger too much on any one thing since there is so much at stake. Also be aware, Jupiter get rescued way more than Dejah Thoris ever does. I would put the tone squarely between The Fifth Element and Hitchhiker’s Guide to the Galaxy. The peril is real and the action is what all of the 30’s serials could never even dream to be. But the pacing zips along and never lets you question too much about what’s going on, because who cares really? This is fantastical entertainment at its purest. But it does not descend into the silly like HGG, with a wink towards the audience, because that would spoil the illusion. So - if you want a dose of Lensman and Leigh Brackett or Poul Ansderson thrown at you at 300 miles per hour on rocket boots, this certainly hits the spot. 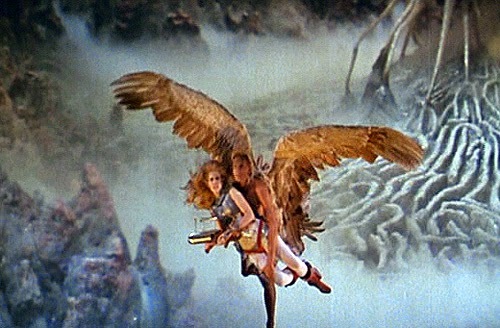 I recommend screening Barbarella, Flash Gordon and Buck Rogers first to get you in the proper frame of mind. for effort on the Nostalgia-o-meter.